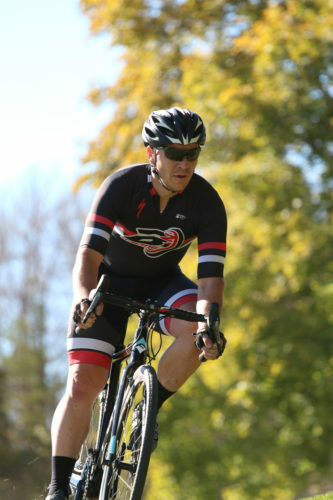 Cyclocross Series race on October 25, 2014 at Big Cottonwood Park. The great State of Utah continues to be a tremendous place to locate a bicycle business. You may be aware that the value priced internet juggernaut Fezzari Bicycles is located in Lindon, Utah. Fezzari, like many other American bike companies, designs and builds bikes from the frame up in-house from parts and frames sourced out of Asia. In addition to a robust online presence the retail store is quickly building a reputation as a hub for Utah county cyclists. Fezzari has redesigned a number of the their staple road and MTB bikes as well as launching a CX and Fat Bike line this year. 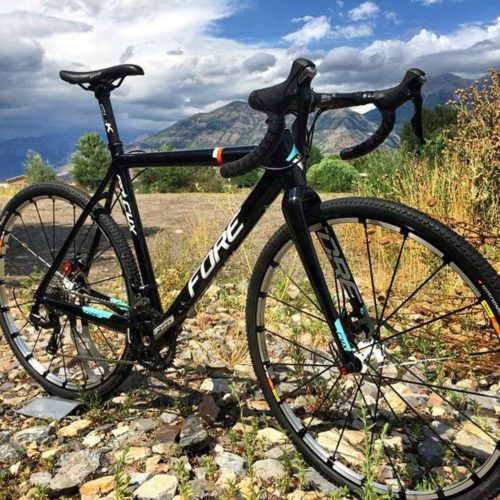 The 2014 Utah Cyclocross Series proved to be a great testing ground for me as I raced part of the series aboard the new for 2014 Fezzari Fore Cyx 3.0 cyclocross bike. I ended up doing 6 races on the bike and learned a lot about what I liked and what I didn’t like. Let's start with the styling. The name Fore is the principal branding for the bike with Fezzari being somewhat understated. Fore is an old english word that means out in front and is used for all of Fezzari’s upper echelon designs. The carbon frame has a rounded top tube with is unique in itself in a world filled with shaped and sculpted tubes. It felt very solid when running the barriers with the ole’ suitcase carry. The frame is light, although not the lightest, and it is stiff yet compliant. The Fezzari Fore Cyx 3.0 is a joy to ride. Photo courtesy Fezzari. The bike was spec'd with the SRAM Rival 22 group with full hydraulic brakes and Stan’s No Tubes Grail Team wheels. I really liked the tall hoods on the Rival 22 levers. They provide a great shape and the tall extension allows multiple grip positions. The SRAM disc brakes were solid stoppers in sandy, dry and wet conditions. The one drawback to a disc break bike is trying to share wheels with teammates in the wheel pit. Rim brakes make that a lot easier, but the control and power of the disc often outway that concern and the prevalence on new bikes may soon make that a moot point. The Stan’s wheels and sealant rolled very well. I never burped a tire or had a flat over 6 weeks of training and racing on this demo rig. This bike also features solid through axle hubs which make for great handling. It is worth noting that using a solid through axle wheel to warm up on a trainer requires an adapter. See the thought above about sharing wheels with teammates.